Posted on January 05, 2017. The exterior doors of your home can add to its curb appeal. They also give you a chance to show your personality and give your home a boost. They are the perfect place to add a pop of color that will look great all year round. However, you should choose the color you use carefully because a wrong color choice can be a disaster, but the right color choice for exterior doors in Portland, OR can really transform your home into something beautiful. Before you even start to look at different color options, you really need to know what look you want. Different colors in combinations with different styles of architecture can create various looks. In addition, if you find a great color, you could even use it to add pizzazz to each Portland window, too. It is important that you understand what you want so you can choose the right color the first time. There are some colors that are starting to become more neutral because they have been used a lot. Red, for example, is a classic color choice. It is bold without being overbearing or too kooky. It has a refined sense that makes it classy and regal. Black is another common color choice that blends nicely and creates a stately image. You can really use any color you want, so consider bright colors that may be way out of the norm. Yellows and oranges can really brighten up a home and create an interesting entrance. Bright blues, like turquoise, and bold greens, like lime, both work to create a nice centerpiece color for exterior doors in Portland, OR. If you want to use color but do not want it to be too overwhelming, then you might want to consider pastels. These soft colors can be anything from a light blush to a bolder hue, but they are not as attention grabbing as their full color counterparts, which makes them ideal if you desire color without the brightness. 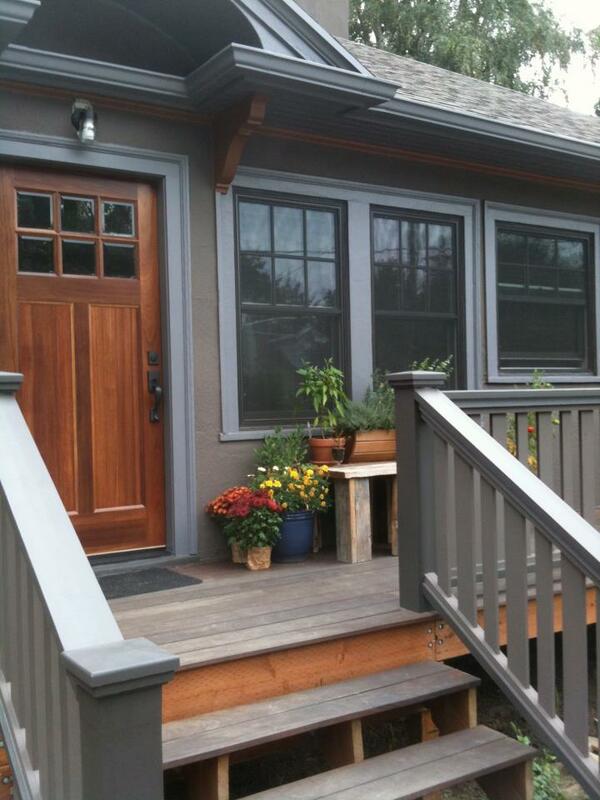 Choosing what color to paint your exterior doors in Portland, OR, may take a little time. That is okay, though, because you want to be sure that you are choosing a color that works for your tastes and your homes style.